The screen is located at the busy junction along with the Jalan Pasir Bogak, Pulau Pangkor. The location of the screen is a cross junction with high traffic flow so that the screen able to grab the attention from the traffics who pass by the junction. 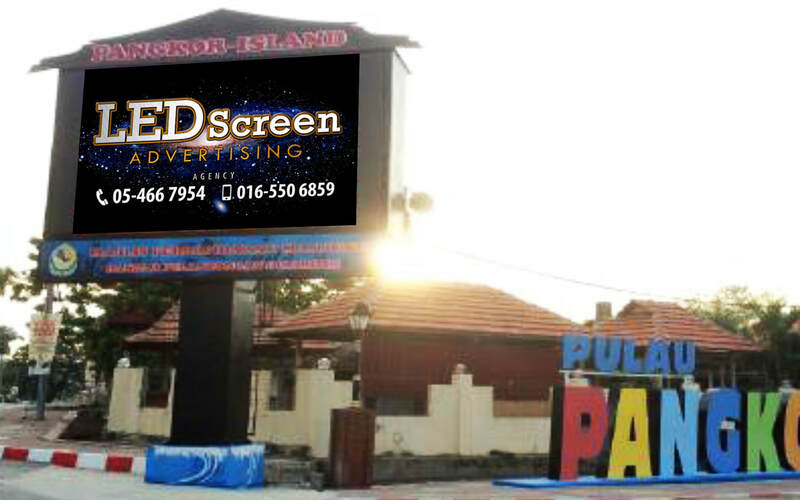 The screen is targeting traffic entering resort area such as pangkor holiday resort, pangkor coral bay resort, pangkor sandy beach resort and puteri bayu beach resort.